Having submitted his building plans in order to obtain planning permission from Barcelona City hall, Antoni Gaudí began work on the Casa Milà on 2 February 1906. Shown below are two illustrative examples of the immense interest sparked by the construction of the edifice. The first one comes from issue No. 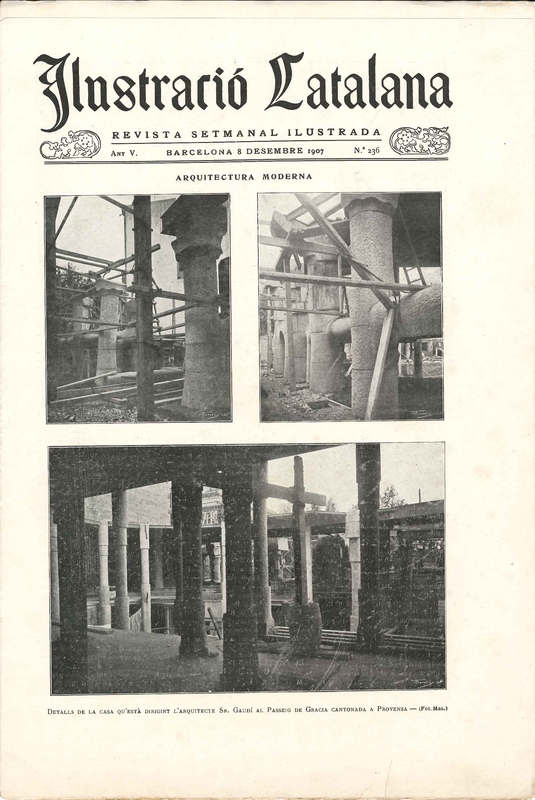 236 of the journal Ilustració Catalana, from 8 December 1907, which ran a story on the building work, under the heading ‘Modern Architecture’, with three accompanying photographs showing the construction system of the columns and pillars, together with the caption: “Details of the building that architect Mr Gaudí is overseeing on the corner of Passeig de Gràcia and carrer Provença”. An annual subscription fee cost 30 pesetas and, as announced on the back cover, “regular issues are on sale everywhere at 50 centimes” and “special issues are sold at exceptional prices”. The journal had its main office at No. 11, carrer Mallorca on the corner of carrer Roger de Llúria. The second example is taken from issue No. 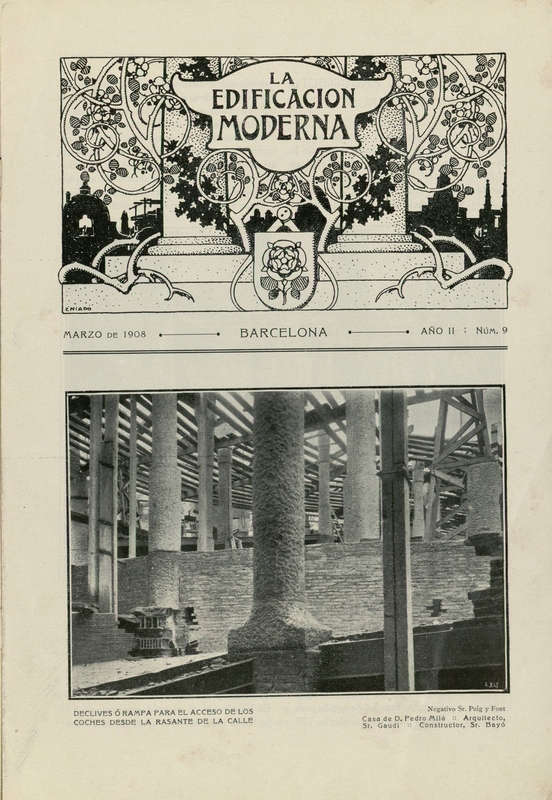 9 (March 1908) of the monthly journal La Edificación Moderna, a publication of the association of constructors, Centro de Contratistas Generales de Obras y Maestros Albañiles de Barcelona.